A program to edit Psychonauts saved games (PC version only). 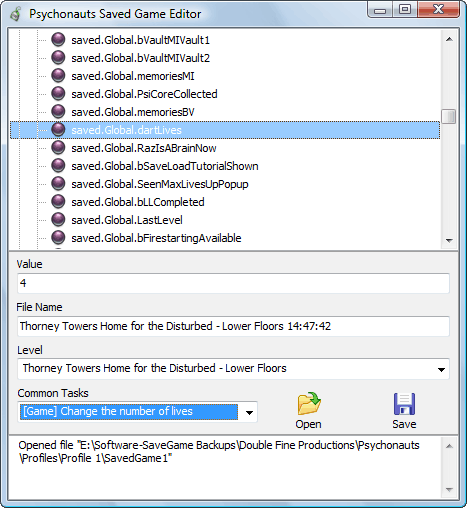 Simple to use: a common tasks menu allows you to quickly change popular settings such as the number of lives. Allows you to change the current level – you can jump to any level on the game. Allows you to modify variables contained within the saved games such as the rank and number of figment points. Allows you to change the model/mesh of an inventory item, unlock memory vaults and much more.